Old signs are amazing to see and usually make for a great photographic subject. There's far more craftsmanship that went into these old signs made of steel and other metals and they were usually of a unique shape -- not just confined to a position above the building's door. 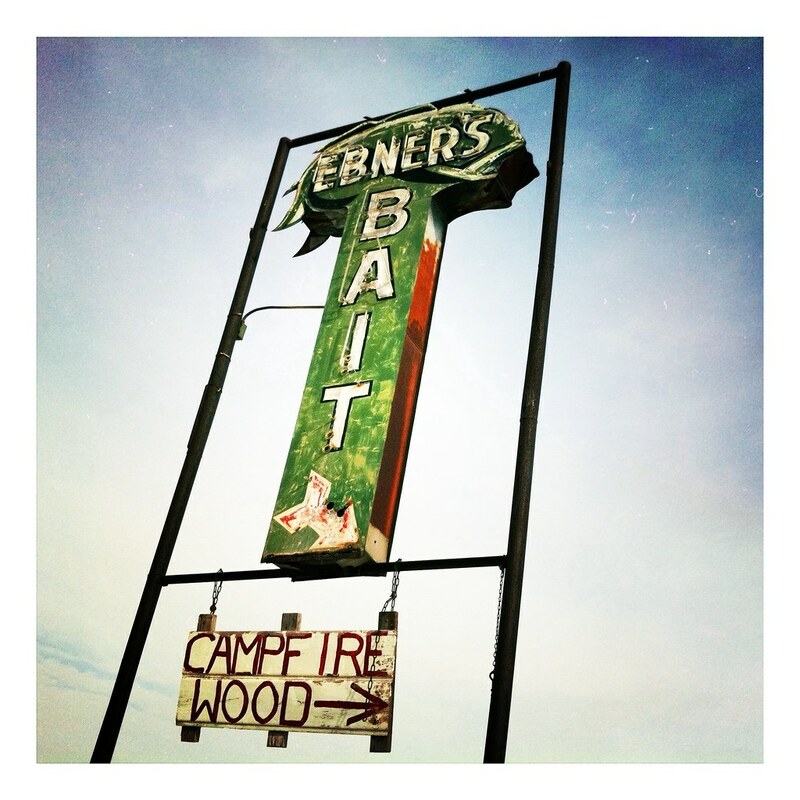 This photo of a sign for Ebner's Bait falls perfectly in line with my theory.